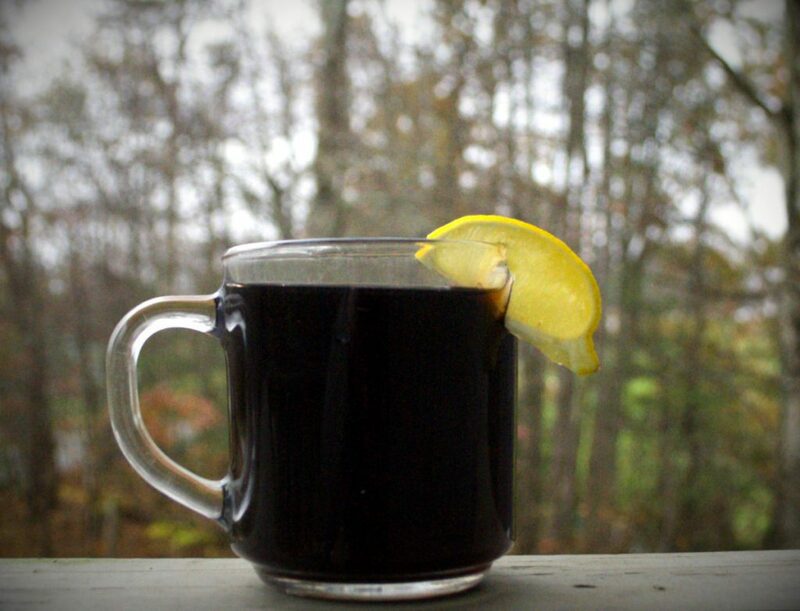 You can make a traditional Hot Toddy with only a few ingredients: whiskey, honey, water, and lemon. It is simple, but it’s good to have a simple recipe that doesn’t require a lot of thought to make while you shuffle around the kitchen, wrapped in a blanket, with tissues hanging out of your nose. It’s a tried and true tonic that cures what ails ya! 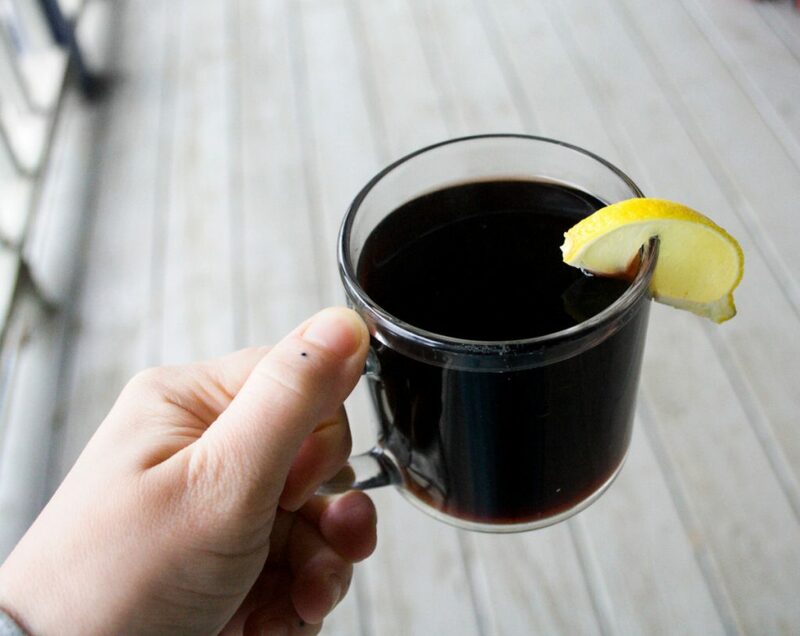 Honey soothes a sore throat, hot water soothes and helps with sinus drainage, lemon is a good source of vitamin C and bitters, and any other problem you have is made moot by a good slug of whiskey to send you off to sleep. But what if I told you that we could make it even better by knocking out a few quick projects before you are sick? 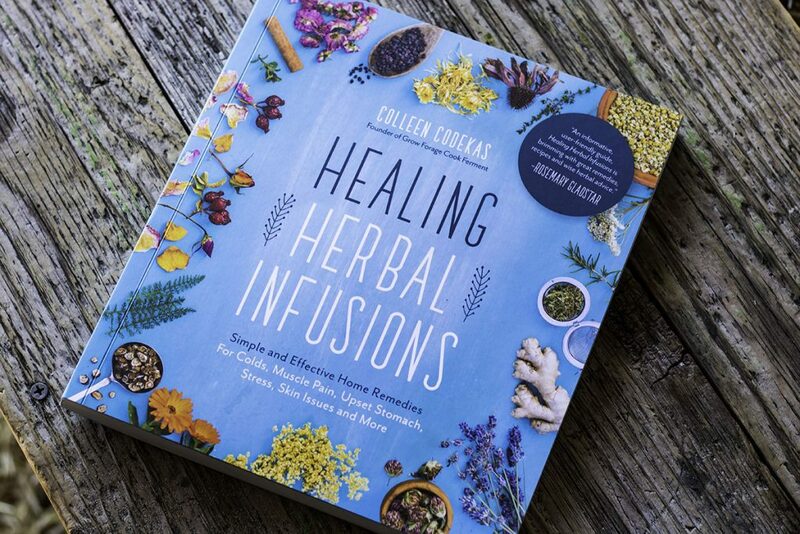 We can give your medicinal booze an herbal twist with some home-made infusions. For example, why would you use plain whiskey in your hot toddy when you could use an herb-infused whiskey? 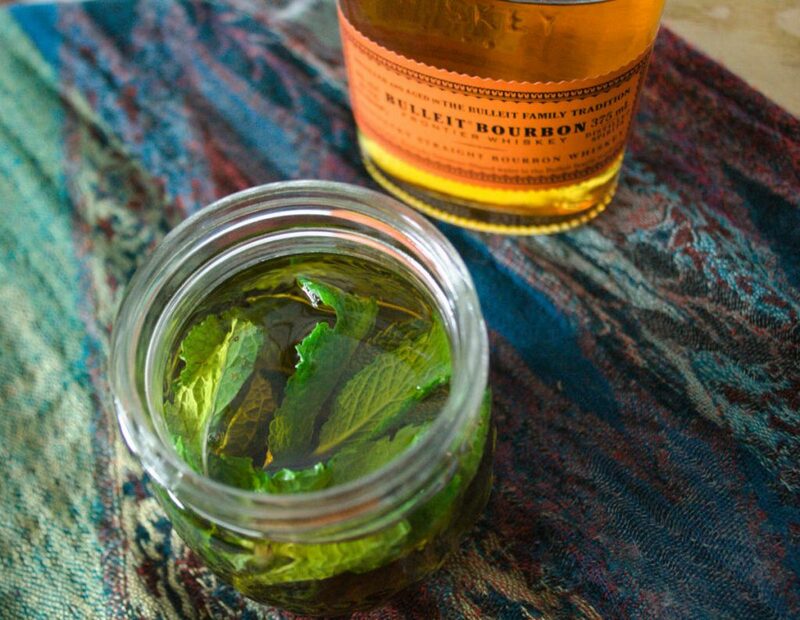 A bourbon infused with fresh mint leaves brings an instant Julep-like quality to your nighttime beverage. Not only does it fancy it up a bit, but it adds menthol to help open up stuffy sinuses. Then there’s the water. We need water to be healthy and hydrated, but for this toddy, let’s use tea! A roasted rice green tea would give a rich, nourishing base for your toddy, or you could go for black tea if you feel that caffeine would be helpful. I prefer caffeine-free herbal infusions because I like to sip my toddies before bed. 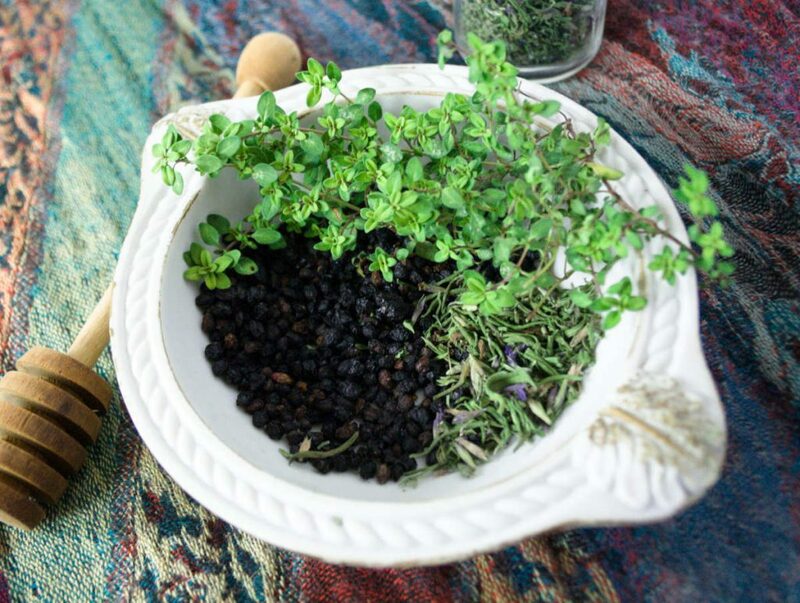 My recipe below includes an infusion of elderberries, hyssop, and thyme to help soothe a cold with a cough. Add the spoonful of honey and stir it well. Pour in the bourbon and stir. Garnish the mug with a lemon slice that can be squeezed in and enjoyed! This is a tasty toddy. 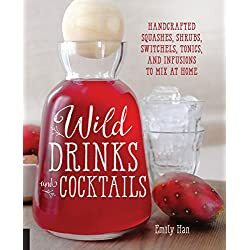 The honey balances the bite of the bourbon, the mint and the hyssop blend beautifully, and the lemon and elderberry give a brightness to the whole thing. You might find yourself faking a sneeze just to have an excuse to make another batch! Bruise the mint leaves and add them to the jar. Pour the bourbon over the mint and cap the jar tightly. Give it a few good shakes to mix it. Label it with the contents and the date and stash it in a dark cabinet for 24 hours. Strain the leaves out and store your mint bourbon in a jar or a fancy bottle! Learn more about making tinctures, cordials, and elixirs. Blend the ingredients just before use, if you are using fresh thyme. If using dried thyme, you can make this blend in advance. Store it in a glass jar, preferably in a dark place to keep it fresher longer. I’ve got another cough and cold recipe and list of herbs you can use here. Steeping tea and making minty bourbons are both examples of herbal infusions. It’s one of the most basic steps in making any herbal remedy, from medicines to body care. 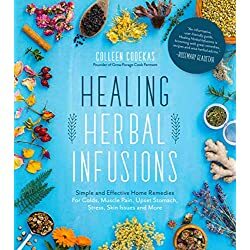 If you want to learn more about how to make infusions of all kinds, I suggest you add a copy of Healing Herbal Infusions to your bookshelf. Colleen’s book provides a clear guide for anyone to follow. 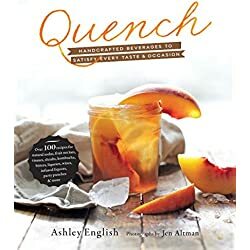 More than techniques, there are tried and true recipes for infusing herbs into all kinds of things: honey, oil, vinegar, booze, water, and more. Visit her site for more details! I am excited to share this book with you! I was lucky enough to get an early copy since I got to give an endorsement. Colleen is a great teacher! ← I’ll be teaching at the Good Medicine Confluence 2019!